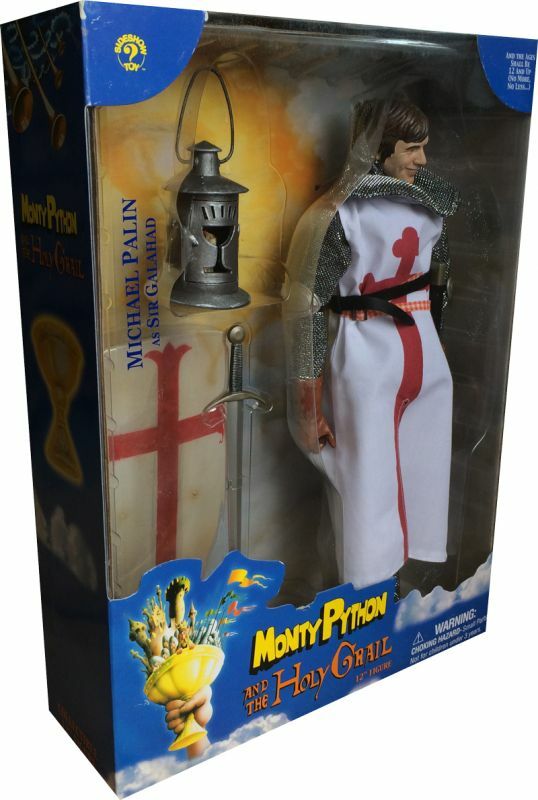 Licence : Monty Python : Sacré Graal ! 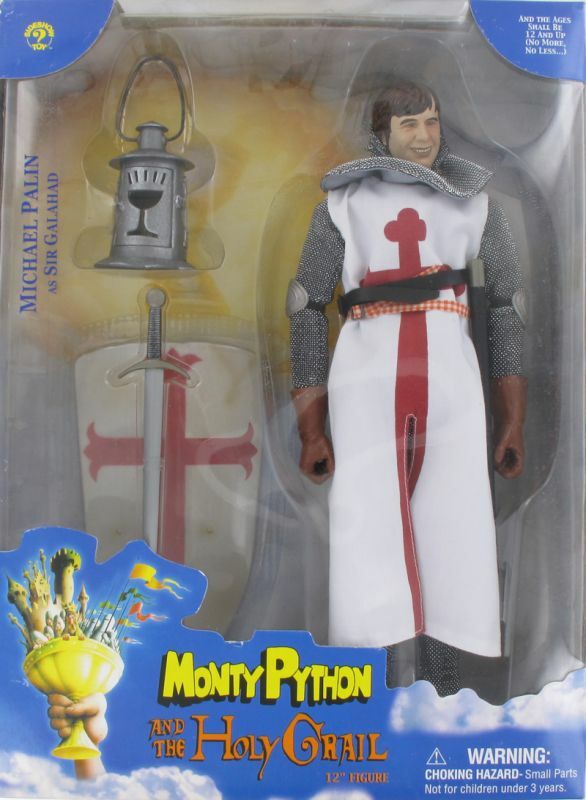 Debuted in November 2001 from SideShow Toy as the first in a series of action figures from a Monty Python license. 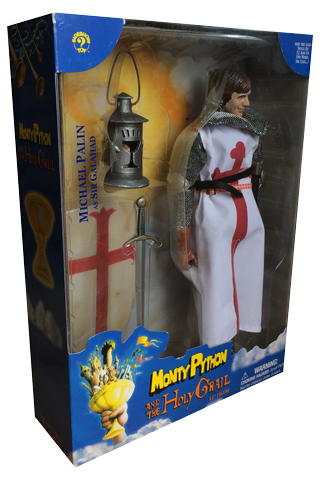 Featuring over 20-points of articulation, Sir Galahad stands 12-inches tall and comes with sword, shield, and grail-shaped lantern. Portrait of Michael Palin as Sir Galahad was sculpted by Oluf W. Hartvigson. Released as part of a limited series of 10,000.